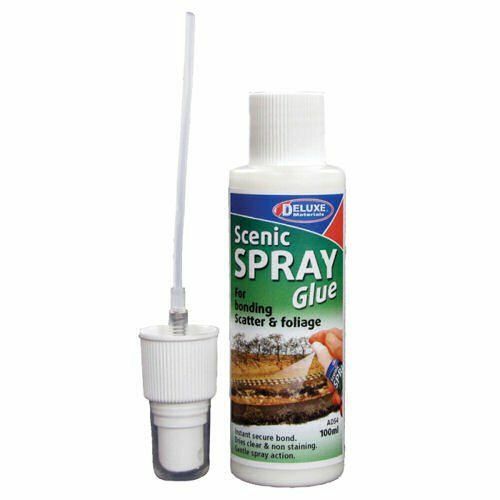 A versatile spray glue for use with a variety of scenic materials such as grass scatter, tree foliage, leaves, etc. Non-staining. Dries clear and tacky. Gentle spray action.